Nissan is well known for its continuous efforts to innovate, a strategy that has proven successful as it has established a reputation for change. This driving principle is even captured in its previous slogan “SHIFT_” and the current “Innovation that excites,” both of which exemplify the company’s drive to always be surprising both car enthusiasts and average car owners. One of the world’s most recognizable automobile companies, Nissan was founded in 1911 in Japan as a small truck manufacturer. Today, Nissan has manufacturing plants in 20 countries and 150 000 employees worldwide, supported by an outstanding reputation for innovation and quality and with close ties to French manufacturer Renault. Of course, some of Nissan’s models have been far more influential than the rest in terms of design influence, public admiration and overall sales. We’veve done our homework to bring you the top-rated Nissan cars of all time. A two-door coupe with four seats, the Nissan GT-R line features unparalleled performance: the 2017 GT-R is powered by a 3.8-liter V6 twin-turbo engine with an output of 565 hp and 467 lb-ft of torque. A six-speed semi-automatic dual-clutch transmission and four-wheel drive with VDC-R stability control ensure both velocity and superb handling. A true supercar with fans worldwide, you can acquire it from $110,000 — Nissan’s highest MSRP to date. Unique features of its interior include luxury leather seating and a carbon-fiber dashboard; Bose® audio system with active noise cancellation and acoustic glass insulation; a fully centralized entertainment and information system featuring real-time information on an 8” touchscreen. On the outside, daylight-simulating headlights and signature taillights, custom titanium exhaust and other personalized details you can only find in high-end vehicles add value to Nissan’s masterpiece. 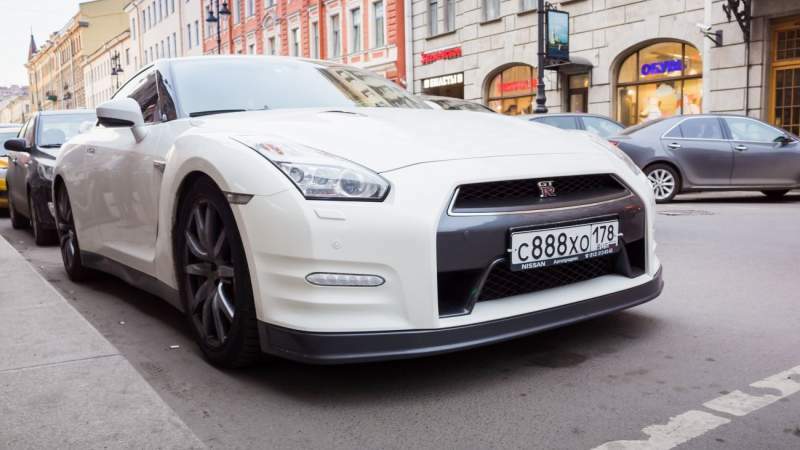 The Nissan GT-R is capable of going from 0 to 60 mph in 2.9 seconds and needing only slightly over 100 ft to brake back to a halt, meaning this model is a great performer even in the competitive supercar world. With an average fuel consumption of 19 mpg, this car is by no means a sipper, but it falls within the expected range for high-performance machines. However, every great car has both pros and cons: while it has some great safety features such as six airbags and ABS and EBD braking systems, you might argue that the lack of a government-issued safety rating, even for previous year’s models, leaves room to worry about the effectiveness of the GT-R’s performance-oriented construction during an accident. This is Nissan’s best-selling model ever, and for all the right reasons: a full-featured, mid-sized sedan at an affordable $22,000 base MSRP is a very good deal. The 2016 Altima comes in two flavors: a 2.5-liter, 182 hp 4-cylinder engine and a more powerful 3.5-liter, 270 hp V6 engine. Both versions share a front-wheel drive, continuously variable automatic transmission featuring shift paddles on the steering wheel, ample trunk space, and elegant design. Independent reviews stress the silent nature of this model. The interior of the Nissan Altima features a dashboard with two screens, a larger one in the center for the infotainment system and a smaller one on the instrumental panel which displays information on tire pressure, navigation instructions, parking assistance and other useful info. A few add-ons available for the Altima are worth considering, such as the remote engine start system or the premium sound system. On the downside, the quality of the interior materials has been criticized, however elegant-looking they are. The first major selling point for the Altima over the competition is its great fuel economy: from 32 mpg for the 2.5-liter version to 39 mpg for the 3.5-liter version, it’s one of the best figures for non-hybrid cars today. Another major selling point is safety: the Altima has consistently earned five stars in safety ratings and provides a solid technology system to assist you when driving. For both of these reasons, the top-rated Altima remains a great choice for families and a fierce contender in its class. Datsun was Nissan’s brand name for small cars, back when Nissan was mainly a truck manufacturer. The Datsun 240Z, the first Japanese sports car that went mainstream in the U.S., is also one of Nissan’s top-rated cars of all time and was on the market from 1970 to 1973. The 240Z features a two-door, two-seater coupe with a 2.4-liter L6 engine with an output of 150 hp and 146 lb-ft of torque, along with a 4-speed manual transmission. Its characteristic figure was described by Nissan as “a fastback-styled body based off of European styling,” arguably a wink to Italian supercar manufacturers. The 240Z was designed to reach top speeds of 127 mph and get from 0 to 60 mph in 8 seconds flat. It was the first time you could get an imported, affordable, cool-looking sports car with all the amenities, such as radio and A/C, for only $3500, which is about $20,000 adjusted for today’s inflation. As most cars of its time, its fuel consumption is on the higher end of today’s scale at around 19 mpg. Sports Car International listed it as the forerunner in their highly influential Top Sports Cars of the 1970s list, so it is no surprise that even today you can easily find 240Z cars and spare parts as well as an active community of owners. While modern cars offer more in terms of interior comfort, the 240Z is one of Nissan’s best and most influential designs, sporting a visual style that marked its era as it provides you the joy of driving a fast car and a great work of engineering.